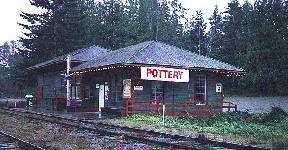 Arrowsmith Potters Guild is located at the Parksville Via Rail Train Station. We have the luxury of studio space as well as a Gallery of members works open daily. We meet monthly on the second Wednesday for business, comradery and sharing information. We hold a wide variety of events at the Station Gallery and Studios, including beginners and intermediate hand-building and throwing classes, workshops and special events with visiting potters. 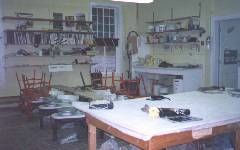 Our well equiped studio includes 8 Pacifia wheels, extruder, slab roller, pug mill, kilns and glaze area. Call, drop-in or visit our website for membership information as well as class and workshop schedules.